i FINALLY made it to the apple orchards this season! there is the cutest place called the apple bin around the corner from my house & they have acres + acres of apple trees. i got a huge buschel to get through the season (okay, more like the week) of baking with freshly picked apples! they even sell fresh apple cider, so i treated myself to a gallon of that too. 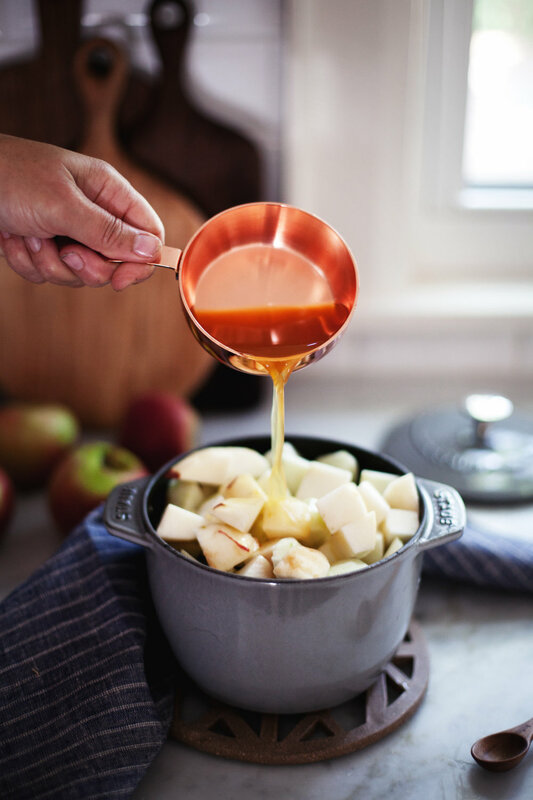 wait till you see all the apple recipes i have in store for you! drinks, pies, more pies & this apple butter. it literally taste like apple pie in a jar & you can put it on just about anything. toast, pancakes, waffles or if you are anything like me.. a giant spoon! it is very easy to make, but a bit of a lengthy process so i would even suggest doubleing the recipe & gifting mason jars full of apple butter to friends! next i am off to the pumpkin patch tomorrow to purchase WAY too many pumpkins for the porch. it is an obsession & i can't get over how whimsical the white pumpkins are, they look like they come straight out of cinderella. 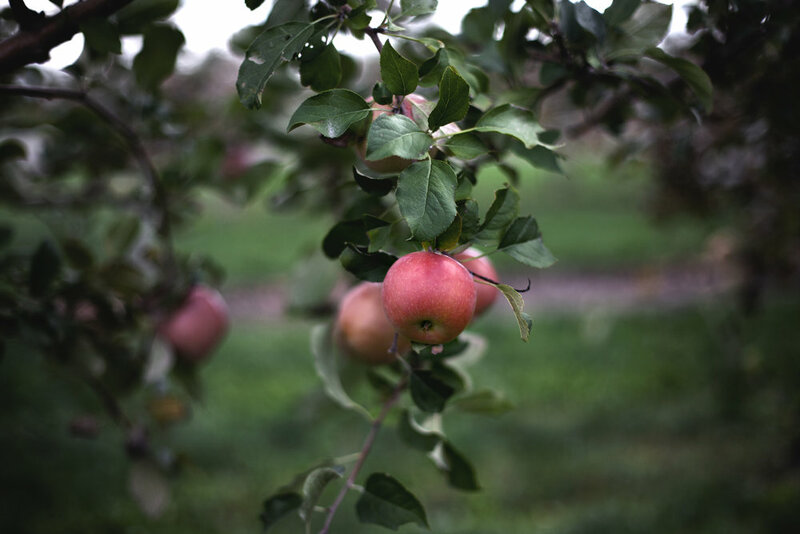 have a great weekend, i hope you find yourself at an apple orchard or pumpkin patch too. p.s. look at that shiny knife rack! i have been dying to have my collection of shun knives on display & peg + awl makes the coolest magnetic rack out of reclaimed wood. i just need one more knife for that last spot! i was scared we were going to crack the backsplash installing it, but we bought a stone/granite drill bit & it worked out perfectly! in a pot add the apples, cider, brown sugar & sea salt. simmer for 20 minutes until the apples have softened. pour mixture into a blender & add the cinnamon, nutmeg, cloves, vanilla & lemon juice. puree until smooth. add mixture back to the pot & cook in the oven at 250 degrees for two to three hours. stir every half hour. remove from oven & let cool before placing into weck or mason jars.